Do you fancy yourself a rally driver? Do you you drink way too much Monster energy beverages? Do you have $125k? If you answered yes, to all of the above this might be the car for you. 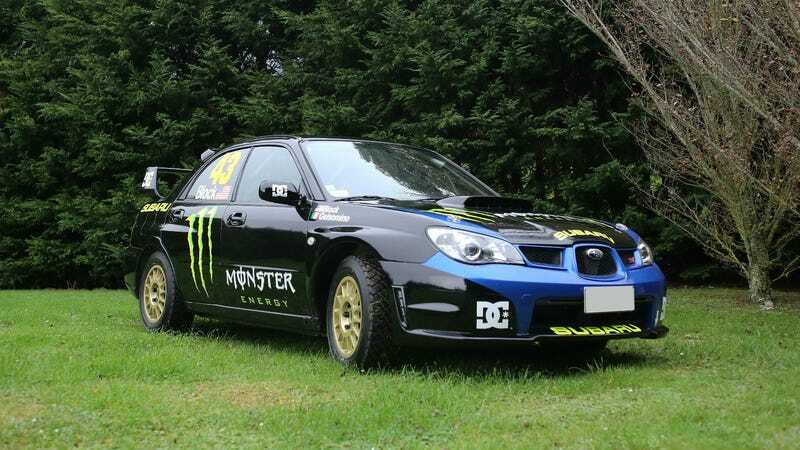 According to the description on eBay, this is a 2007 Subaru Impreza STI Rally Car that was built for Ken Block for the 2007 winter rally season in New Zealand. The car is left-hand drive and is road legal in New Zealand, though most likely not road legal in the United States. This STI was also the same car used in Ken's Wanaka Ski jump, as seen on YouTube. For $125 grand you can buy plenty of other cool cars that be legally driven on the road. However, if you are a super wealthy collector with an addiction to energy drinks and skate shoes, this would be an excellent addition for some rally madness.